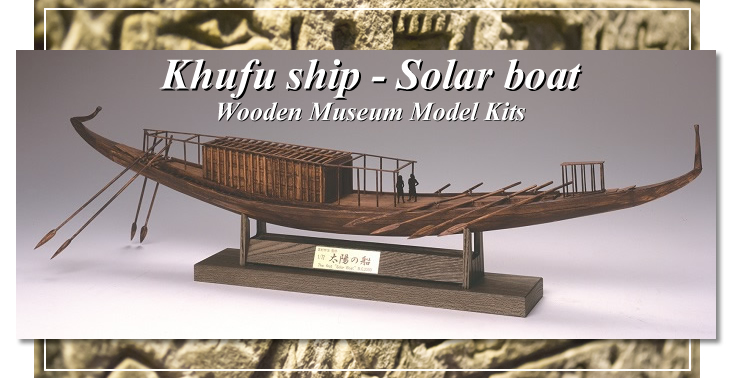 Kufship was shipbuilt as a ship sailing in the sky with the sun god after Pharaoh died. 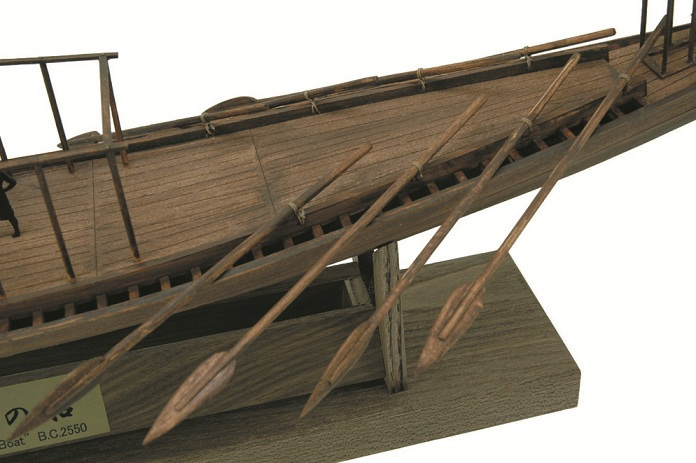 Ancient Egypt often travels and forth between the Nile River, the Mediterranean Sea, the Red Sea and ships, and the shipbuilding technology was also high. 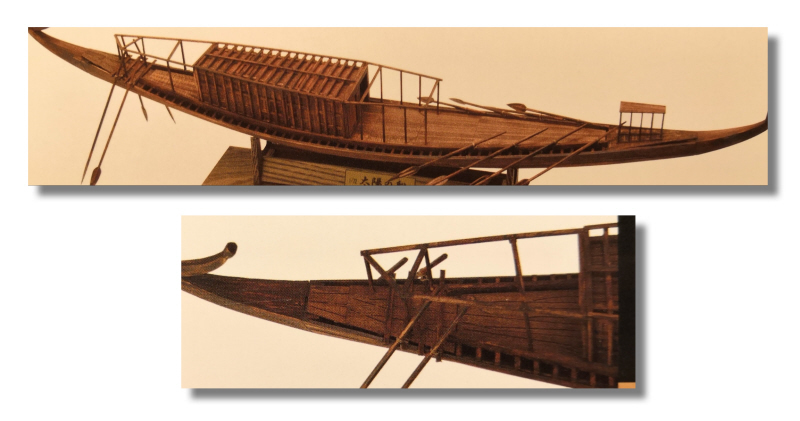 Two ships that were buried on the south side of Pyramid Khufu are about 50 m in length. 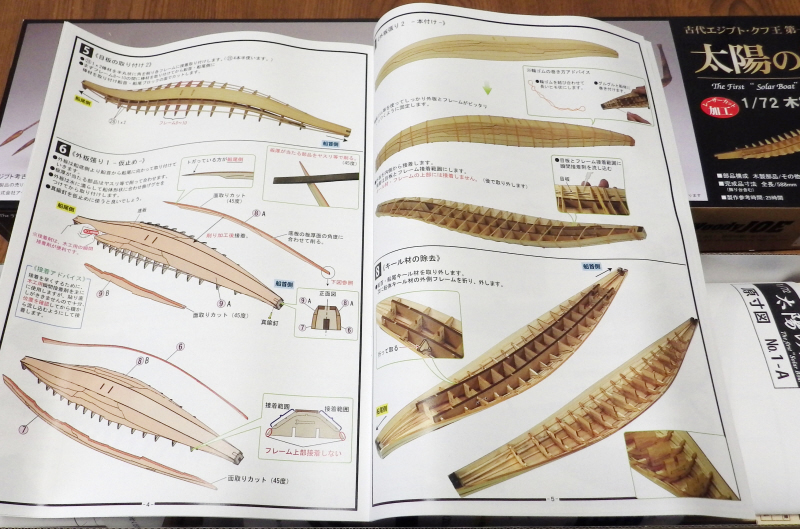 The first one was discovered by the Egyptian archeologist in 1954 and the second one was discovered by Japanese scholars in 1987 and the preservation processing and the restoration study are under way now. 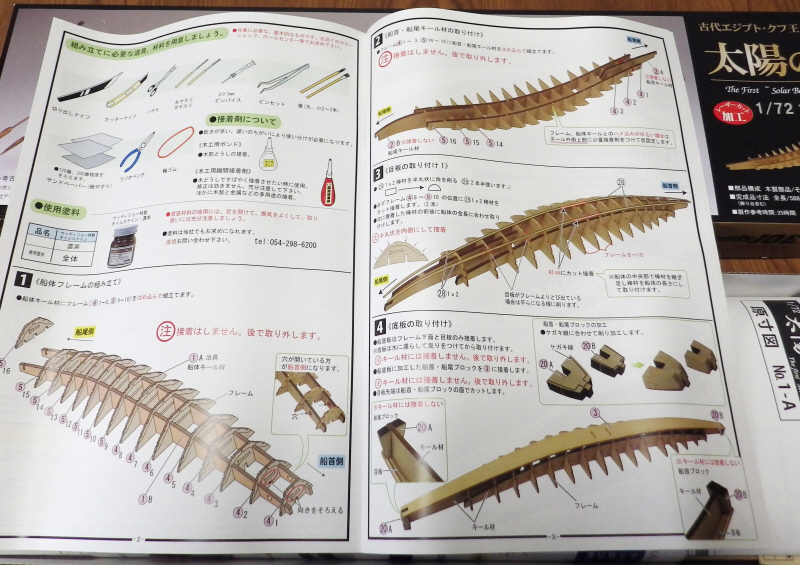 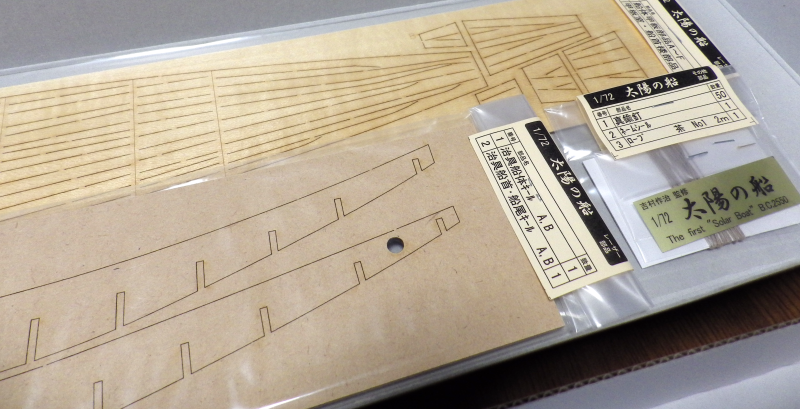 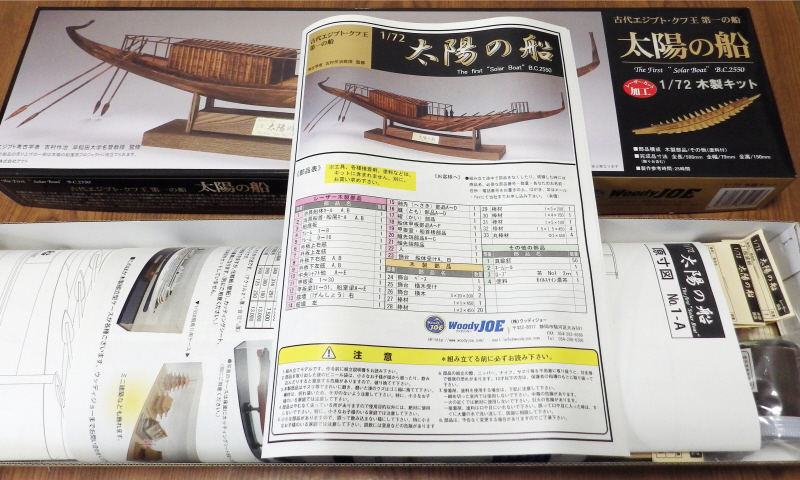 This kit is a precision museum model scaled down to 1/72 faithfully by Egyptian exhibit boat based on detailed data from the archaeologist supervised by Professor Yoshimura. 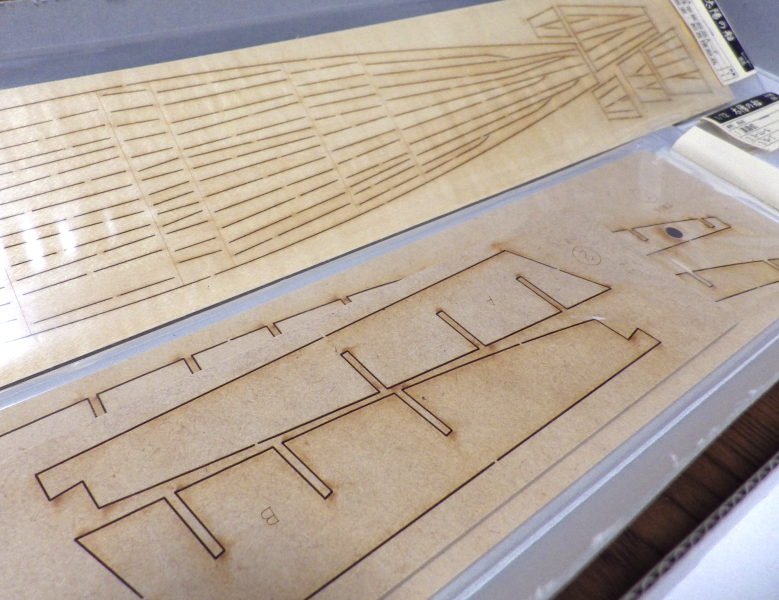 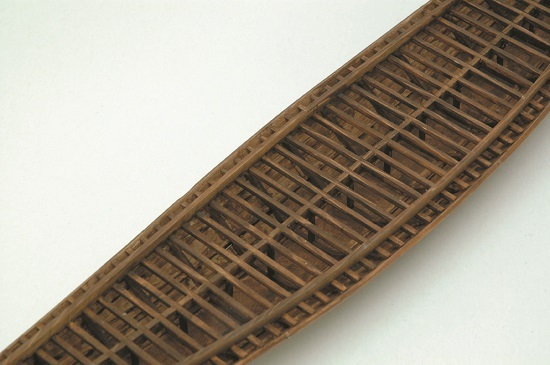 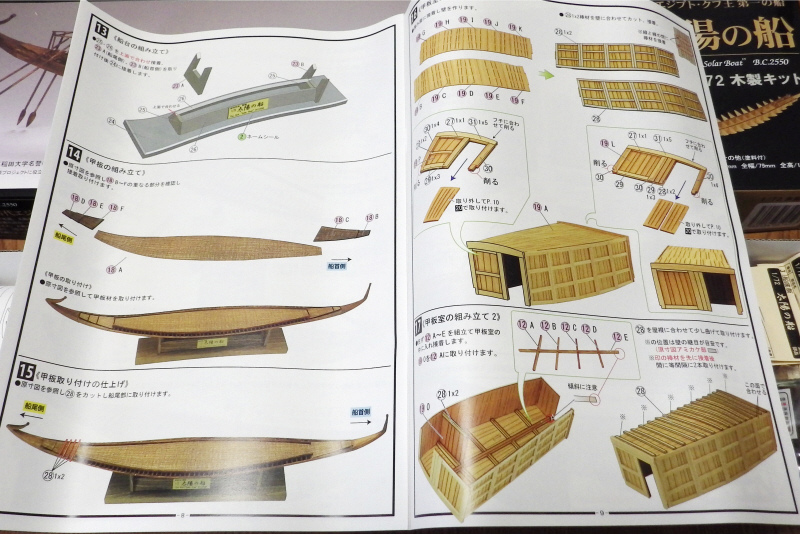 It is simple in appearance, but it is a precision wooden model pursuing internal structure and ease of making. 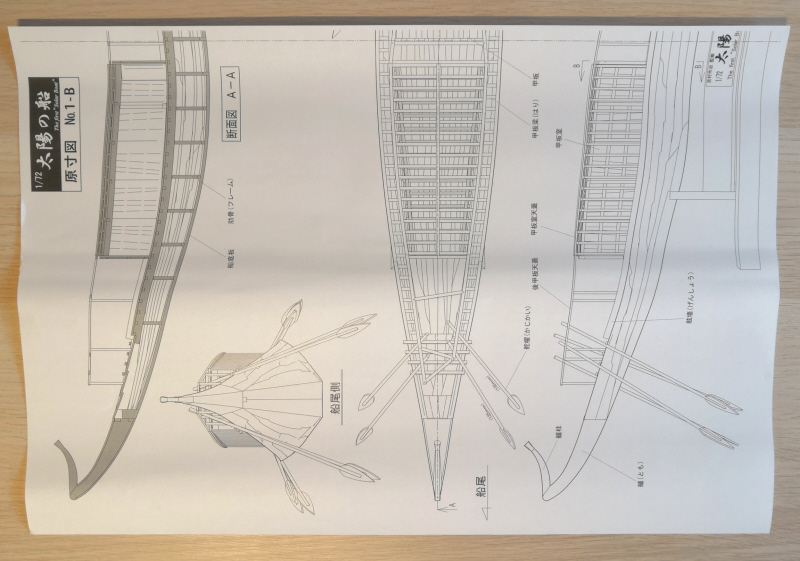 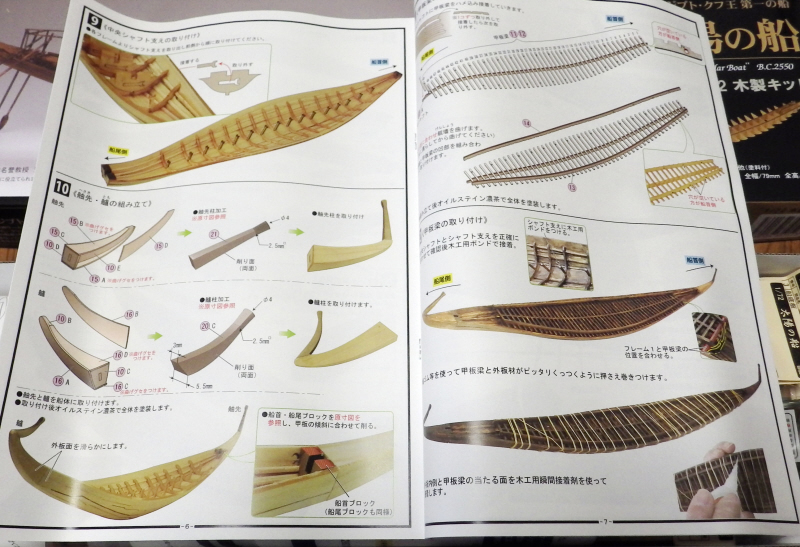 The kit reproduces a display ship in Egypt based on a detailed document by the Professor Yoshimura supervision of the archeologist faithfully. 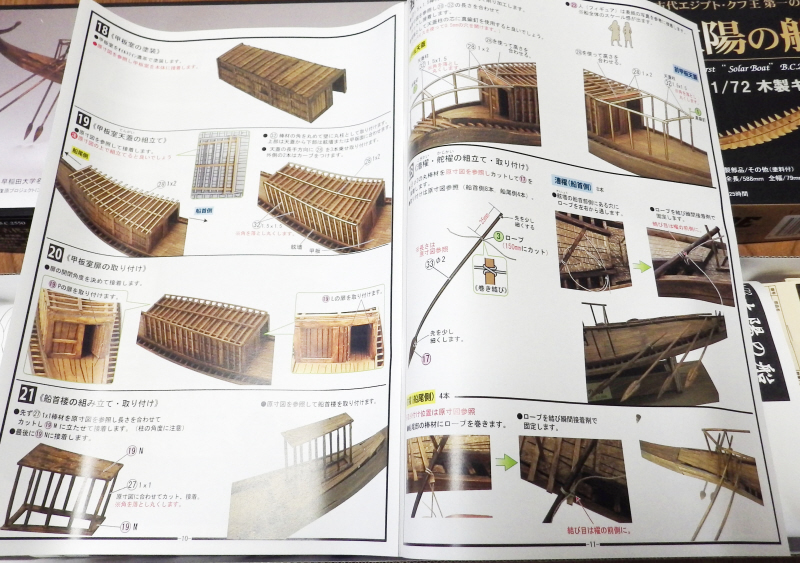 It is the exact museum model of the design of becoming it the division part of each part. 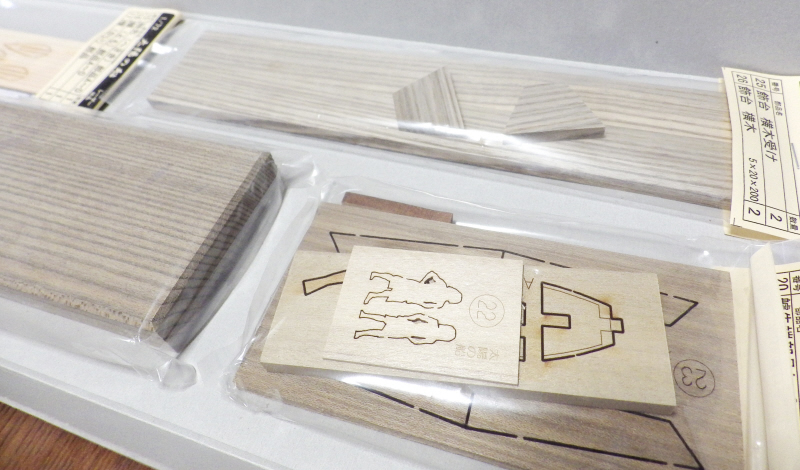 The appearance top is simple, but is an exact wooden model in pursuit of internal structure and an assembly operation. 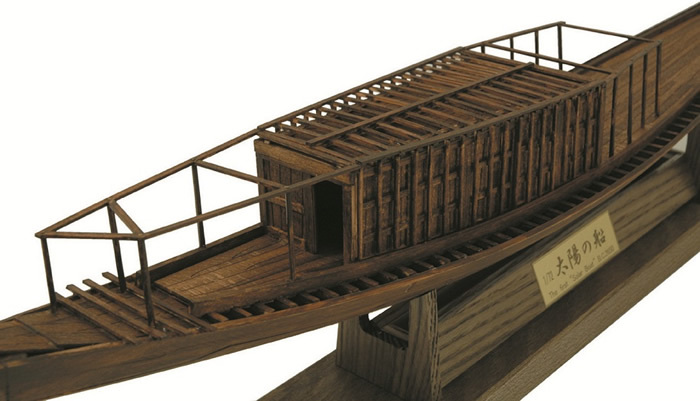 Japanese style ship, Wasen. 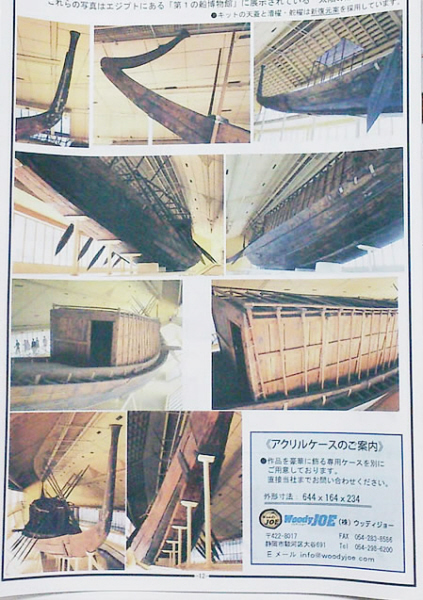 While the Western ship made use of the keel to enlarge, the Japanese ship features a structure that does not use the keel. 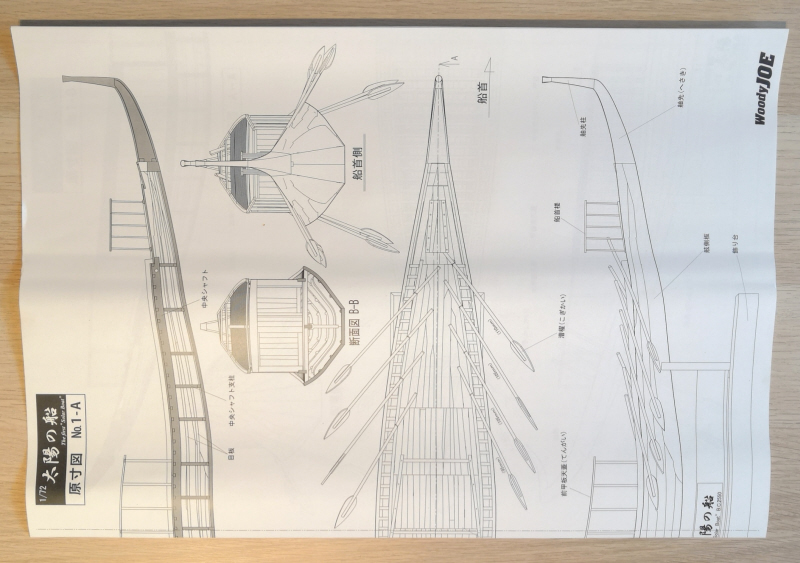 Please see the hull structure different from the sailboat in Europe.